Rosamund Pike just attended a party for Hollywood actors and brothers Ben and Casey Affleck, who were in London this week promoting their joint film project, the Oscar nominated, Gone Baby Gone. The party for the Affleck brothers was thrown in their honor. According to Hello Magazine, they were joined for the evening by a host of British beauties, including talented Pride And Prejudiceactress Rosamund Pike and rising star Hayley Atwell – who is soon to appear in the big screen version of Brideshead Revisited - as well as raven-haired model Erin O'Connor. Click each images to view bigger! Here are the latest updates on Keira Knightley's upcoming 2 films (The Edge of Love and The Duchess) this year. First, check out the hq movie posterhere (or view a similar one to your left from impaawards.com). Next, the official website for The Edge of Love has recently been updated and is now online with contents such as about (cast/synopsis), gallery (with beautiful images stills), soundtrack(the CD is out on June 16th), book (which you can order online), and trailer for the movie. Also, according the official TEOL website, the movie will open at the cinemas in London and Dublin on June 20th and nationwide June 27th! 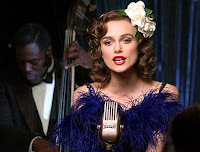 In addition, KeiraWeb.com has the first clip of Keira singing 'Blue Tahitian Moon' in The Edge Of Love. While there's no theatrical release date (as of yet) for Keira's other film, The Duchess, the official website, however, is now partially up online for you to view and snag the trailer. 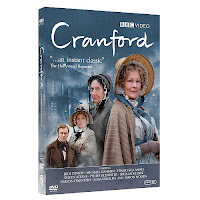 The Region 1 DVD for Cranford is available today (May 20th)! Cranford, the BBC mini-series aired the first of the three episodes last Sunday, May 4th. The 2nd episode will air on May 11 (Mother's Day), and the last one will be on the 18th on Masterpiece. 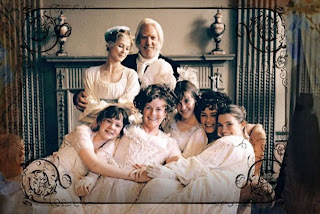 As previously postedhere, Judi Dench, Philip Glenister, Francesca Annis and Michael Gambon star in Elizabeth Gaskell's five-part period drama which follows the small absurdities and major tragedies in the lives of the people of Cranford. 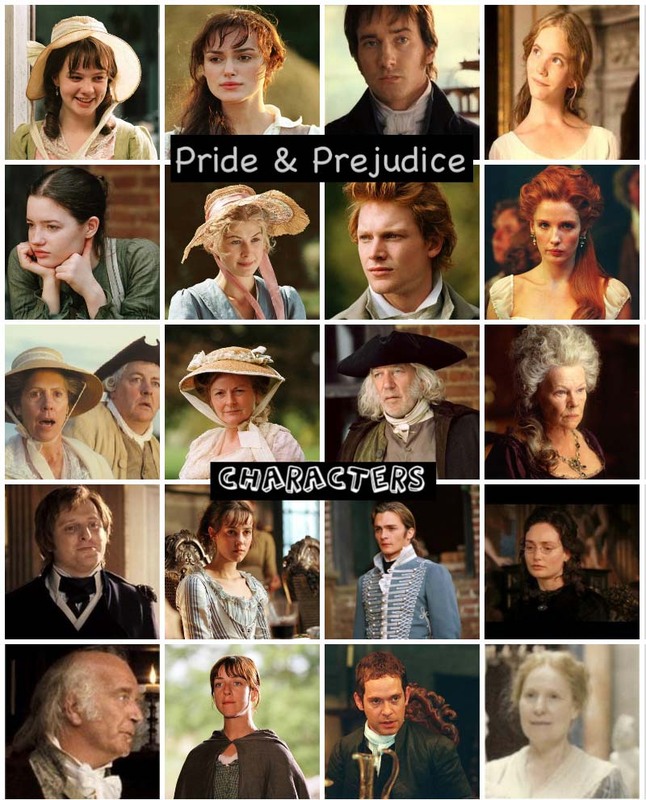 Some P&P alumni stars (P&P '05's Judi Dench, Simon Woods, and Claudie Blakley. 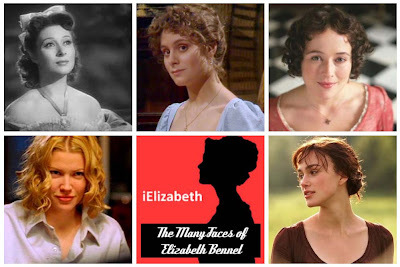 Also, Julia Sawalha [Lydia Bennet] from P&P '95 mini-series) are in this period drama. The cast list also includes Francesca Annis, Philip Glenister, Lesley Manville, Julia McKenzie, Imelda Staunton, and Greg Wise. Recently, Cranford was nominated with 7 BAFTA and won at least one award for Eileen Atkins for Best Actress. The Daily Telegraphreports that Keira Knightley has signed on to play Cordelia in a film version of Shakespeare's King Lear. The project was announced at the Cannes Film Festival today. Sir Anthony Hopkins will play the King while Gwyneth Paltrow will play her sister Regan, Lear's treacherous middle daughter. The role of the third and eldest sister, Goneril is yet to be cast. The $35m film will feature epic battle scenes according to its makers. Meanwhile, Keira and boyfriend/P&P co-star Rupert Friend with a gal pal enjoyed a sweet stroll along the River Seine in Paris, France on Sunday. Just Jared has some new pictures of Keira & Rupert including this pic to your left (click it to view it bigger). According to Just Jared, Keira Knightly and her mother Sharman enjoy a shopping spree in Paris on Wednesday. Keira and her mom first hit the famous Bon Marche and bought some clothes at Isabel Marant’s boutique. The 23-year-old actress can be seen in the Edge of Love (which her own mother, Sharman Macdonaldwrote the screenplay), alongside Cillian Murphy, Sienna Miller, and Matthew Rhys. The Edge of Lovewill be premiered at this year’s Edinburgh International Film Festival on June 18. The Edge of Love is a love story telling the story of Welsh poet Dylan Thomas, his wife Caitlin and the curious real-life incident in which childhood friend Vera Phillips (Keira) and her eventual husband William Killick opened fire on the Thomas home with a machine gun and a hand grenade. See more candid pictures of Keira Knightley and her mother just doing the normal mother-daughter shopping thing here. 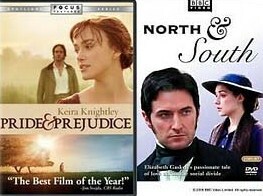 For those of you who loved the 2005Pride & Prejudice film (as much as I did) and is looking for a similar type of movie, I highly recommend you check out BBC's North & South (4-part TV adaptation of Elizabeth Gaskell's novel of the same title). I've seen N&S and and I really enjoyed watching it. I own the DVD too (and it's one of my favorite movies to watch after P&P). I bought my DVD copy several months ago and have seen it more than a few times now. I thought it was so similar to P&P, but yet still very good in its own way. Margaret & John were so much like Elizabeth & Darcyrelationship-wise. Not too mention, both men were rejected the first time they proposed, but were accepted on the 2nd proposals. The ending to N&S was beautiful and so romantic too. I loved and enjoyed watching it. 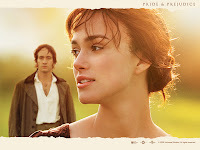 The trailer for one of Keira Knightley's upcoming films this year, The Edge of Love has just been released and is now available to view online via YouTube. Great news! 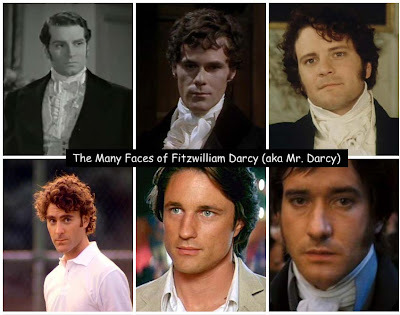 For all P&P fans who loved and enjoyed reading the Darcy Saga story (written by a fellow P&P fan and my good friendSharon Lathan), which is now a published novel and the first of the series of 3 (or possibly 4 volumes) books starting with Two Shall Become One: Mr. and Mrs. Fitzwilliam Darcy by Sharon Lathan was released almost a year ago. Now, the second book (vol. 2), Journeys Beyond Pemberley (see a cover art of the novel to your left. Click it to view bigger!) will be published and released soon to an online retailers and bookshelves near you. Currently, there is no scheduled release date for this book as of yet, but hopefully, it'll be released very soon. I'll keep you all posted as soon as I hear more info. or news on the release date from Sharon herself. Keep checking this blog or Sharon's website for updates. The main cast has been announced from BBC Press Office for theupcoming BBC production drama, "Little Dorrit" starring Matthew Macfadyen, to be broadcast on BBC One this fall. See the new still of MM to your left (from "Little Dorrit" ... photo by BBC Press Office). Click on the image to view bigger. Read the key cast announcement of "Little Dorrit" in the BBC press release here. "In the last two weeks we've been shooting everything with Rosamund Pike and Dominic Cooper, all the stuff in which Jenny goes through her transformation," says Mulligan. "And now we're back shooting the school days stuff. I'm back in school uniform and weirdly the crew have started talking to me differently! I'm 22, but I feel 16!" Also, check out some exclusive stills mostly featuring Carey and one with Carey and Rosamund in An Education below (taken from Rotten Tomatoes)! View more exclusive images from the set ofAn Educationhere. On Monday (May 5th), Rosamund Pike was in attendance at this week's Metropolitan Museum of Art Costume Institute Gala in New York City. Rosamund Pike looked stunningly beautiful in the dress she wore at the Costume Gala by her favorite designer Roland Mouret, who was pictured with her below. Click on each RP images below to enlarge! View more RP photos from the MET Costume Galahere and here. FYI: As previously posted here, Rosamund is a fan of designer Roland Mouret (she wore one of his dresses to the BAFTAs too), Rosamund Pike also wore one of the designer's asymetrical dresses in primrose yellow and H. Stern jewels to this year's Oscars. Keira Knightley is nominated for Best Female Performance for Pirates of The Caribbean: At World's End at the 17th Annual MTV Movie Awards, to be held on June 1st. Congrats to Keira and Pirates! Recently, Cranford was nominated with 7BAFTA and won at least one award for Eileen Atkins for Best Actress. 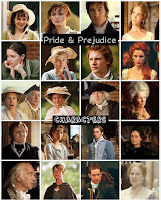 The Region 1 DVD for Cranford will be available May 20th. 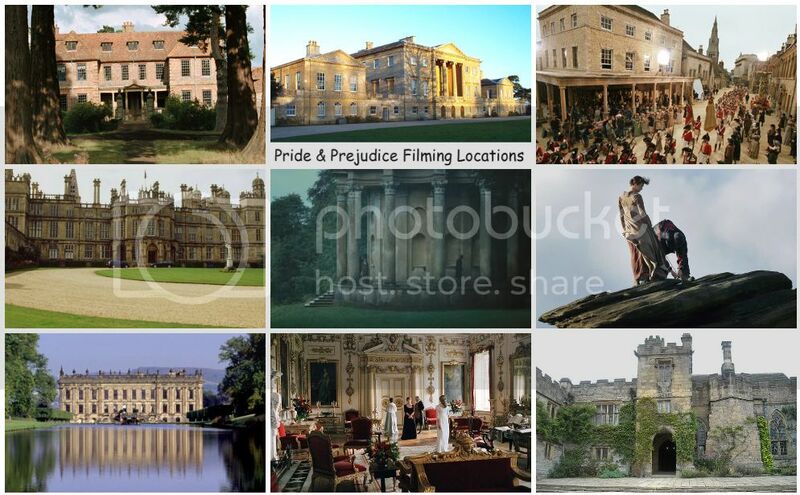 So many actors have portrayed the most popular fictional couple Elizabeth Bennet& Fitzwilliam Darcy (aka Mr. Darcy) in Jane Austen's classic novel Pride and Prejudice, which has been adapted from Stage (1936)/Broadway (First Impression 1959), tv/miniseries (1938, 1952, 1967, 1980, and 1995), and films (1940, 1958, and 2005, as well as inspired P&P films such as Pride and Prejudice: A Latter-Day Comedy2003, Bride & Prejudice2004, and Bridget Jones movies to name a few) numerous times since 1936 (stage version) to the 2005 Oscar nominated film version starring Keira Knightley &Matthew Macfadyen. As previously posted last January, Matthew Macfadyen will star in a BBC adaptation of the Charles Dickens novel "Little Dorrit," which started production (and filming) sometime late last month of April and will commence filming for at least 3 months in Pinewood Studios outside London. Matthew plays Arthur Clemmon and Claire Foy as Amy Dorrit. 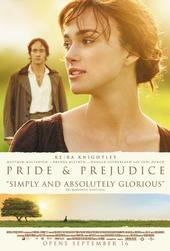 Screenplay by Andrew Davies--writer of '95 Pride and Prejudice and 2008 Sense and Sensibility. 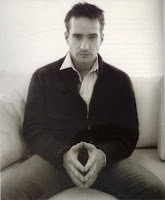 Credit and thanks to Kate (byatt lover) over at my P&P forum for the news as well as Matthew Macfadyen News @ Topix for additional info.